TRUE GEM! 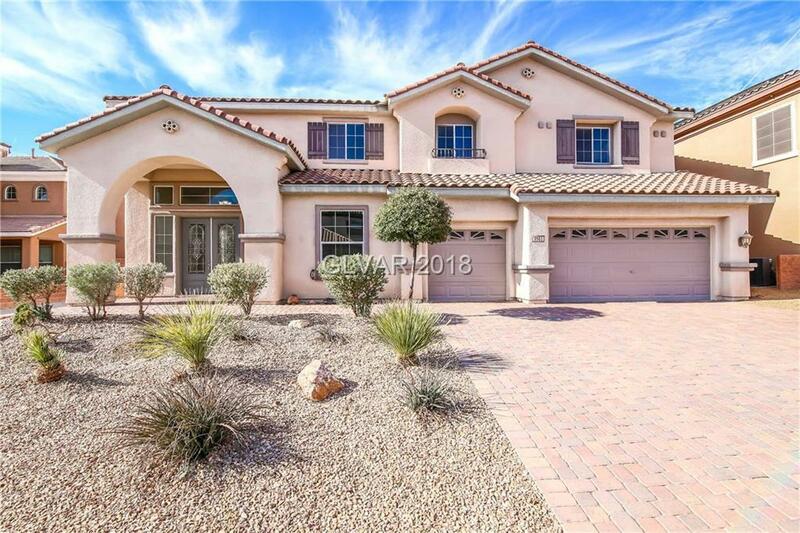 Beautiful home in gated community, Chef style kitchen features granite countertop, cherry cabinets. featuring 5 bedrooms, 3 baths, office, separate living room, formal dining room, family room, fireplace & loft. Master bedroom has attached office, walk-in his/hers closets. Master balcony with mountain views, separate sitting area. Master bath with fireplace, jacuzzi tub,. Heated pool and spa & waterfall. Fresh new landscaping. MUST SEE! Directions: From Intersection Of Buffalo And Diamond, Head South On Buffalo, West (Right) On Richmar, Left On Italian Ice, Left On Dolce Volpe, Right On Trattoria.